My vitamin serum D level was 23 ng/ml my doctor ordered 100,000 units of Vitamin D in the form of ergocalciferol once per week for 4 weeks. I have taken the first dose today, I became concerned and want another opinion. I see where 50,000 is prescribed, not 100,000 units of Vitamin D per week. I've tested my vitamin D level and it is 23 nmol/L and the normal range to be 70-200 nmol/L. My doctor has Prescribed for me 100,000 IU of vitamin D3 (Cholecalciferol) for 4 weeks,then 50,000 IU once a week for 8 more weeks. That's mean 800,000 IU for 3 months!! I have been on 50,000 ius per week of Vitamin D for over 3 months. However, my level only rose from a 23 to a 25. 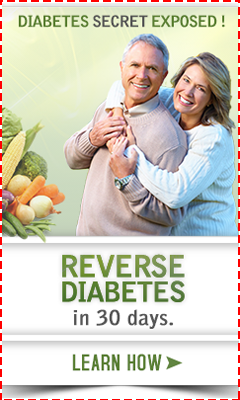 Now I am on 100,000 iu per week (Two 50,000 iu capsules per week). What tests should my doctor be doing to find out the cause of this deficiency? I have terrible pain in all my bones,am very fatigued, and have almost constant muscle twitching. Also, I'm neutropenic and have a Complement C-8 deficiency. I suspect that these conditions are interrelated. 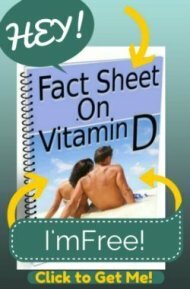 11 months at 100,000 IU per WEEK, vitamin D levels went from 28 to 34 - IN NEED OF ADVICE! So here's my story... I went into the doc almost one year ago, complaining of instant bruising of my skin by merely scratching a simple itch on my thigh & arm. She ran a couple of tests and decided that I needed help in the vitamin D department (my levels began at 28). She started me on 50,000 IU per week for three months, then went up to 100,000 per week after my levels showed no improvement. My most recent test came back at 34. All my doc suggested was for me to continue on the crazy vitamin D supplements, which I'm barely able to keep down, as they make me feel extremely ill.
A recent X-ray of my spine showed slight scoliosis, which is something I have never had before. The doc also noted I shrunk an inch! For over a year, I have been experiencing horrible debilitating pain in my back, shoulders and hips, so much so I am in tears simply walking around the grocery store. I am overwhelmingly exhausted all of the time, etc. Is it odd that the doc hasn't come up with any other info or solution to this problem of mine? Is it strange that my levels haven't made a bigger improvement over the last year? I'm only 35-years-old, fairly young. Before all of this started, I was very active and a go-go-go type of mommy. In the last year, I've gained about 20 lbs, I can barely function due to the pain in my back & hips, every day life is very difficult for me. Any advice would be greatly appreciated!!! Thank you SO much! 100,000 IUs of D3 Per Week Too Much? A Vitamin D panel in November 2010 revealed my D level to be 21. I dosed with 4,000/day D3. I upped my dosage to 6,000/day approximately two weeks before D levels were tested in April. In April 2011, my D level was 36. After seeing a rheumatoid specialist in April for fibromyalgia-type symptoms that had been occurring for over 2 years, she prescribed 50K IUs of Vitamin D twice a week for two months. However, the prescription is for D2. I've been on the prescription for two weeks (discontinued the OTC D3) and feel like I am backsliding in symptoms. Would it be okay to substitute 50K IUs of D3 twice a week in place of the prescribed D2? I believe we will be checking levels again mid-June or early July.